Northwestern State University of Louisiana is also featured in our ranking Top 25 Most Affordable Online Bachelor’s in Accounting. The College of Business at Northwestern State University offers an online accounting program through the school’s Global Campus eNSU platform. The curriculum is identical to what on-campus students complete, and graduates receive equivalent degrees. The online program caters to working students as they have the flexibility to complete coursework without a set class schedule. There may be a few exams that need to be proctored, either at NSU or another approved facility, but this is a rare occurrence. The classes are offered in the Fast-Track style meaning they only last about 8 weeks and are usually taken two at a time. This allows students to be highly focused on just a couple topics. Plus, the College of Business allows working professionals to take advantage of their Prior Learning Assessment class during which students create am extensive writing portfolio detailing their past positions in an effort to gain college credit for life experience. The accounting program culminates in a bachelor of science degree and requires 120 total hours. The goal is to give students a foundation in a variety of areas of general accounting including cost accounting, auditing, taxation, financial planning, and government accounting. Other business-related topics like marketing, business administration, business law, and management are also taught. During about 8 semesters, students take a combination of 75 credit hours in business and accounting fields as well as 45 hours of general education classes. Located in Natchitoches in central Louisiana, NSU offers programs in 20 different colleges and enrolls over 10,000 students each semester. 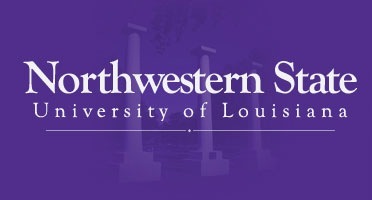 Opening in 1884, the school began as Louisiana State Normal School, a 2-year teaching program, and officially became the Northwestern State University in 1970. There are additional satellite campuses in Shreveport, Fort Polk, and Alexandria. Their online program, eNSU, is the largest in the state and currently offers over 40 different completely-online degree programs. The university focuses on ensuring that working professionals and especially military members have access to post-secondary education. These programs range from associate to doctoral degrees in fields ranging from business to social work and also include an extensive selection of graduate-level teaching degrees and certificates. They also offer hybrid degrees that combine online learning with in-person practical training, especially in areas like nursing. Best Value Schools has ranked Northwestern State University one of the top ten on their list of Top Values in Universities and Colleges in Louisiana. Plus, Best Colleges has rated the school #31 out of all accredited online colleges. The Southern Association of Colleges and Schools Commission on Colleges (SACSCOC) is the accrediting organization for post-secondary schools in the southeast region of the United States. 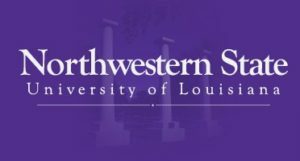 In December 2017, it renewed the certification for Louisiana’s Northwestern State University. This means that the school clearly states its mission as providing higher education and that the education advertised is what students actually receive. The SACSCOC verifies that the degrees granted by each accredited university represent a quality education and adequate preparation for careers in each subject area. It also certifies that the university has the funding, organization, and infrastructure necessary to continue operation. Accreditation provides eligibility for certain federal funds and financial aid. Within the university, certain departments also have individual accreditation from industry-specific associations. At NSU, all accounting degrees are certified by the Association for Advancement of Collegiate Schools of Business International (AACSB) which reviews criteria including faculty-to-student ratio, curriculum requirements, and outcomes. Since the online programs at Northern State University are equal to those on campus, the admissions requirements and process are identical. Freshman students who have never attended college need to submit a completed application with $20 fee, high school transcript, and ACT, SAT, or Accuplacer scores. Applicants need a GPA of at least 2.35 or a 2.0 with at least the equivalent of 18 on the English ACT and 19 on the math ACT for admission. The Regent’s Core Curriculum needs to be completed in high school also. This includes the following. A provisional admission is also an option for students who do not have all of the necessary requirements. These students have 3 semesters to pass the necessary classes. Students who have either an associate’s degree or at least 18 hours of post-secondary education with a 2.0 GPA can apply for admission as transfer students as long as they have earned a ‘C’ in college-level math and college-level English. The eNSU Global Campus has different tuition rates for programs that are offered entirely online versus those offered on campus. All online students pay the same amount regardless of state residency. Undergraduate accounting students can expect to pay $375 per credit hour for the first 12 hours during a semester. Any additional hours are billed at $100 per hour. Students are also responsible for purchasing all necessary books and materials and a $50 per hour electronic course fee. Students are encouraged to submit a FAFSA early each year to determine how much federal aid is available to them based on their family’s financial need. The federal government provides grants as well as subsidized loans to qualifying students. Other options for funding an undergraduate education include grants and scholarships based on a combination of academic ability, personal characteristics, achievements, and financial need. Some of these are available directly through Northwestern State University and others are offered by outside organizations. Many students at NSU also take advantage of assistance offered to current members of the military and veterans. Staff members at the NSU Barksdale Office have information about all of these opportunities. An undergraduate degree in accounting is almost required for many entry-level positions and can help professionals advance their careers. Northwestern State University of Louisiana’s online bachelor’s in accounting program provides a strong educational foundation with a flexible schedule that serves both nontraditional students returning to school and freshmen right out of high school.